The amenities at Air Assault Indoor Paintball in Minnesota are among the finest in the country. When you pull into the parking lot of our St. Paul paintball field, you can’t help but notice the building. The exterior is painted in camouflage. Ammo crates adorn the main entrance. The signage is reminiscent of a world war II bomber. All these things help set the feel for what you’re about to experience. You’re about to step away from the Twin Cities and into a paintball world like nothing you’ve ever seen. 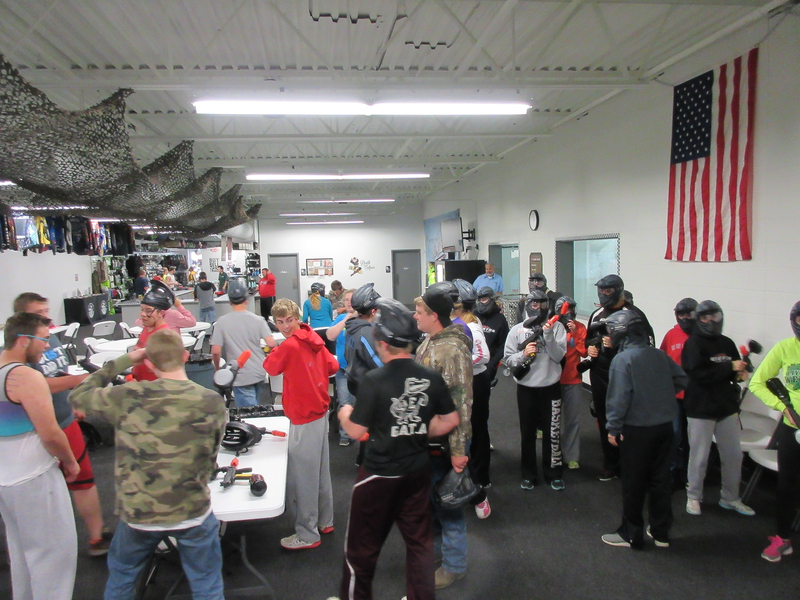 As you enter the building, the first thing you’ll notice is our paintball store. We’re Planet Eclipse’s warranty repair center for the Midwest, so you’ll find we stock their full product line. Whether you’re looking for a brand new Etek or a used Geo, you’ll find the best selection in our pro shop. You’ll also find products from Virtue, Exalt, and more. Beyond the pro-shop is our check-in counter and staging area. We use a state-of-the-art online waiver and reservation system to make the check-in process quick and efficient. Signage above the counter explains the rental package options and available upgrades. We are the only paintball facility in the country to offer competition grade Planet Eclipse Etek’s as an upgrade gun option. Other rental options include camo jumpsuits, padded gloves, and chest protectors. We are a full outfitter, offering everything a new player needs to play paintball. 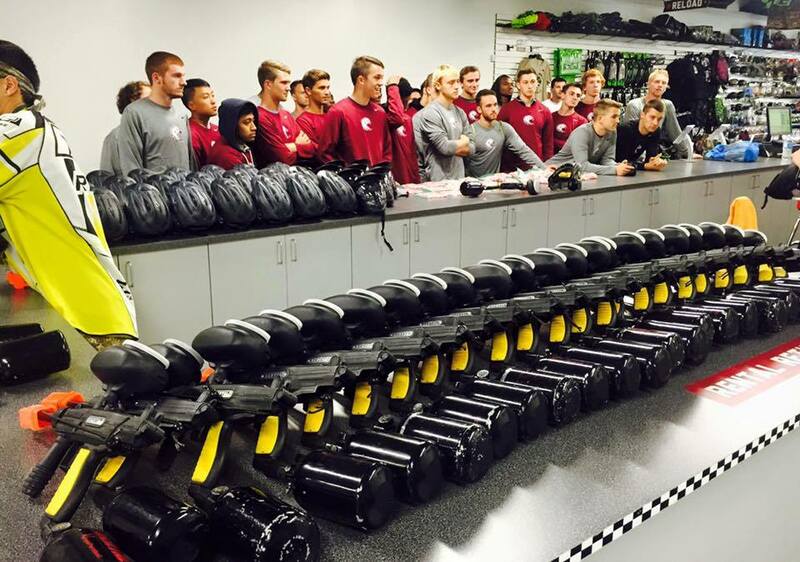 When it’s time to play, our staff members will take your group through a new player orientation and safety briefing. They’ll educate new players on the basics of the game and help you get geared up and ready to play. When you step out on the field you’ll notice the playing surface. Our playing field features over 18,000 square feet of athletic quality turf. Inflatable bunkers give players structures to hide behind. Field layouts can be changed regularly, giving players a new experience every time they play. Best of all, the facility is climate controlled.The entire facility is heated and air conditioned, keeping the temperature comfortable year around.